Now to the order of business, today’s post showcases centerpieces I created for a friend’s wedding a while back. 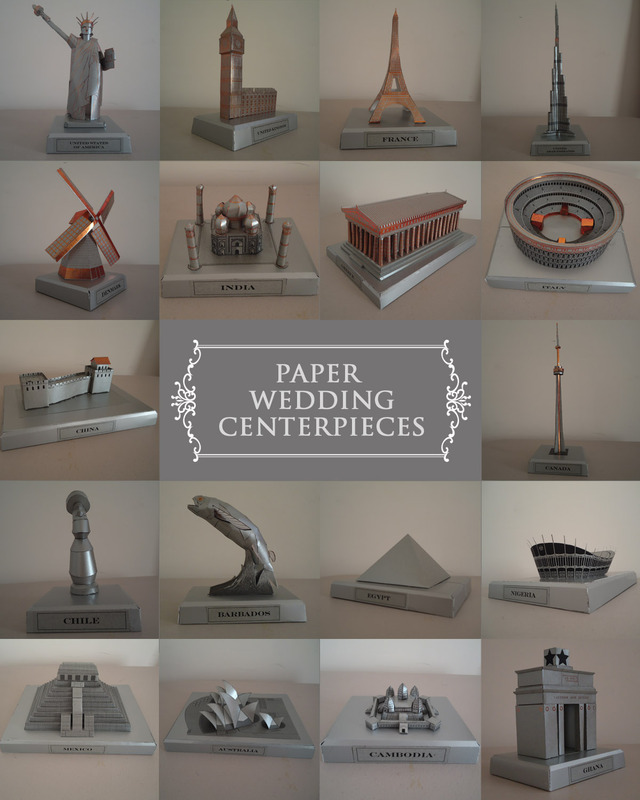 The bride requested I create 3D paper centerpieces of landmarks from countries around the world of places she’s been and would like to visit. She wanted them done in silver and/or bronze. 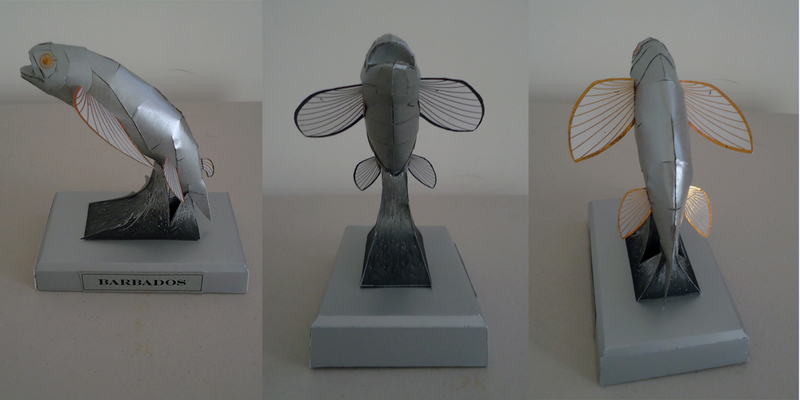 I ended up using silver paper and card with copper foil on some of the designs. I created 18 landmarks in total. 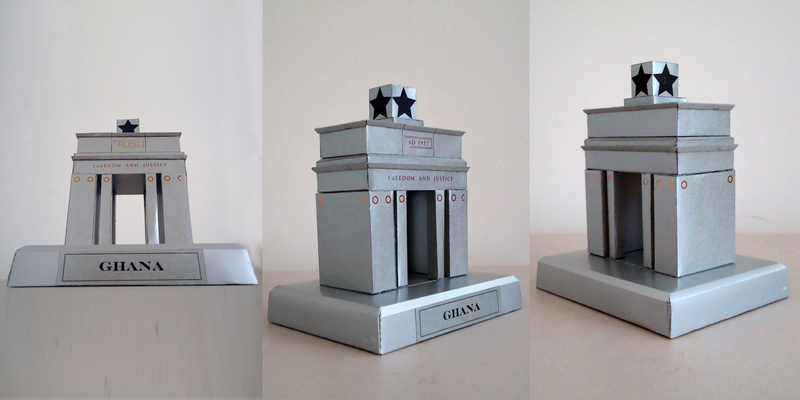 I did however have to invent the paper designs for some monuments like the National Theatre from Nigeria. The Independence Arch from Ghana and the Flying Fish from Barbados resulted from a reinvention of some designs I found online which you can see in more detail below. 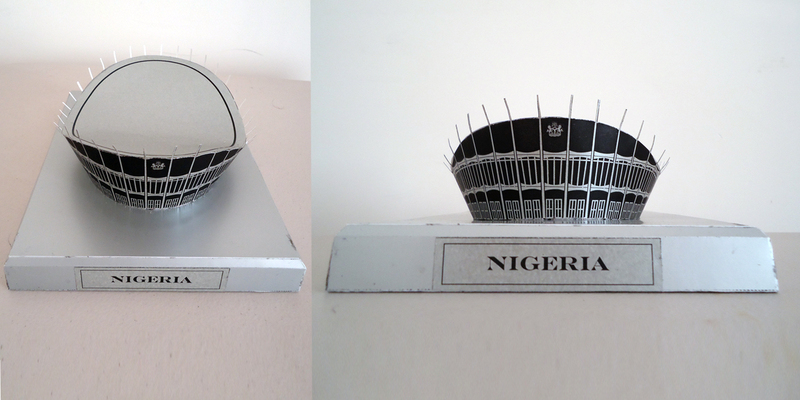 All proportions were done by eye and I tried my best to get them to some degree of semi-correctness which did make things quite hard, particularly the unusually shaped Nigerian landmark which was built to mimic a military cap. 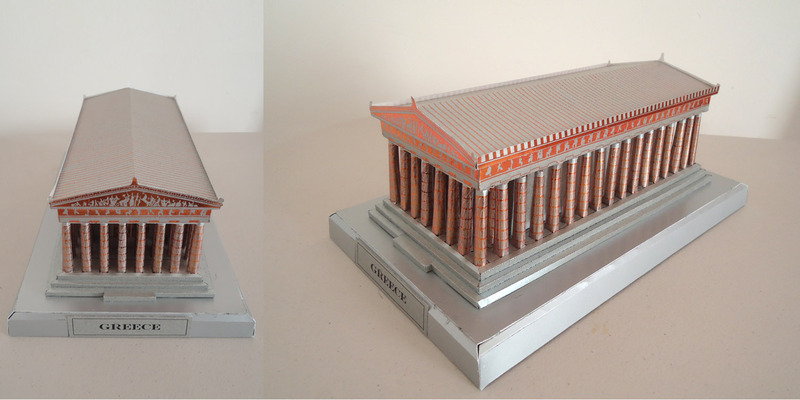 The Colosseum and the Parthenon were also complex to put together especially the columns of the Parthenon that seemed endless. It really made me appreciate these structures a lot more. 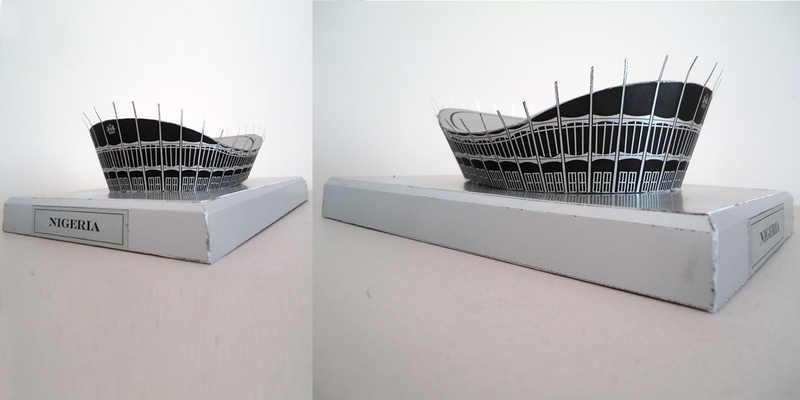 This entry was posted in 3D and tagged 3D, architecture, bride, Burj Khalifa, card, centerpieces, foil, Lagos, landmarks, monuments, Morenike Gbadamosi, National Theatre, Nigeria, paper, paper craft, structures, The Colosseum, thoughts paper scissors, wedding, world. Bookmark the permalink. Very well done. Nice and impressive. Wow… Awesome!! Very creative…Well done!! By God’s grace, AMEN! Thank you! Wow! These are really nice Morenike. Wow!! Nice to have u back. Lovely pieces, very creative. Looking forward to the next ones. Nice job!!! Question..What are the sizes? 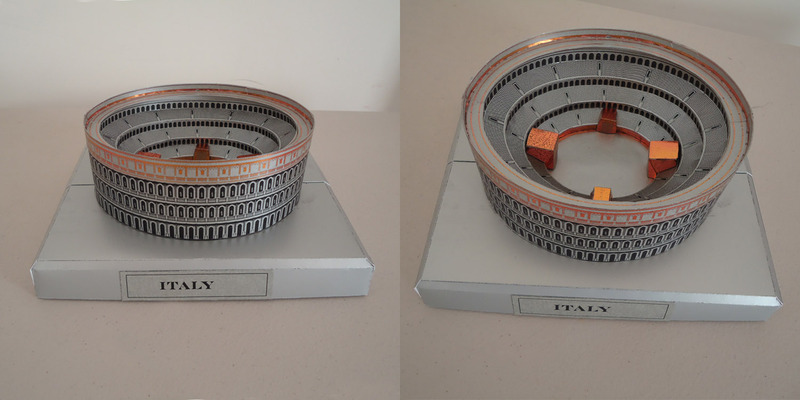 For example: The Colosseum?? How much do you charge for centerpieces? Hello Danette is it ok if I email you? Also where are you based? I’m in Lagos, Nigeria. I’m having a travel themed wedding and really want some of these. Can you help? I tried to email you but I’m not thinking it sent. I’m located in Charlotte NC. Would it still be possible to assist? I’m not sure where you are located. How should we proceed?